To learn science, do science. It’s the foundation of our educational program and the key to our students’ success. Rockefeller’s structure is designed to stimulate interaction between researchers from different disciplines. With no departments and a unique, collaborative culture, our laboratories are at the center of the Ph.D. training program. 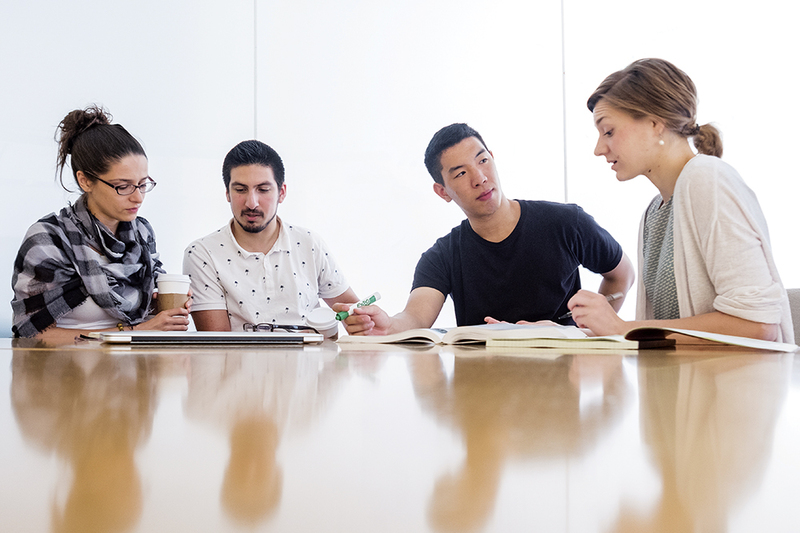 In consultation with the dean of graduate studies, students choose a flexible combination of courses, offering unparalleled freedom to structure their own academic experience and course of study. While courses are grouped into major areas of study, students can meet degree requirements by participating in any combination of courses. If Rockefeller does not offer a course to meet a specific educational need, in many cases students can take courses offered outside the university. Download a PDF version of our current schedule of courses.